When Gloria Gaynor released her 1975 debut album Never Can Say Goodbye, it turned out to be a landmark album. Indeed Never Can Say Goodbye is one of the most important albums in the history of disco. Produced by the Disco Corporation Of America, remixer Tom Moulton transformed Side One of Never Can Say Goodbye into a three-song suite. Never Can Say Goodbye, Honey Bee, Never Can Say Goodbye and Reach Out, I’ll Be There were transformed into a nineteen minute of suite. DJs loved the idea of being able to play this nineteen-minute suite of music. Music fans, who’d discovered disco in their droves, loved Never Can Say Goodbye. It reached number twenty-five in the US Billboard 200 and number twenty-one in the US R&B Charts. Given the commercial success of Never Can Say Goodbye, Gloria Gaynor was on her way to being crowned Queen of Disco. However, by 1978, when Gloria released Park Avenue Sound, which will be released by BBR Records on 29th July 2013, the Queen looked like losing her crown. After the success of Never Can Say Goodbye, Gloria Gaynor set about recording her sophomore album. That would be 1975s Experience Gloria Gaynor. Produced by the Disco Corporation Of America, Tom Moulton worked his magic on Side One of Experience Gloria Gaynor. Casanova Brown, (If You Want It) Do It Yourself and How High The Moon became another disco suite. Nineteen minutes long, this second disco suite didn’t replicate the success of the one on Never Can Say Goodbye. Neither did Experience Gloria Gaynor replicate the commercial success of Never Can Say Goodbye. Instead, it stalled at number sixty-four in the US Billboard 200 and number thirty-two in the US R&B Charts. After Experience Gloria Gaynor, Gloria would only work with the Disco Corporation Of America and Tom Moulton one more time. I’ve Got You, Gloria’s third album, was released in 1976. This was Gloria’s last album that the Disco Corporation Of America produced. Similarly, I’ve Got You was Gloria’s last album to feature a Tom Moulton megamix. Featuring Let’s Make A Deal, I’ve Got You Under My Skin and Be Mine, it lasted nineteen minutes long. However, by then, suites of music that filled one side of an album were nothing new. Other producers were creating suites of songs. I’ve Got You was Gloria’s least successful album. It reached just number 107 in the US Billboard 200 and number forty in the US R&B Charts. After the commercial failure of I’ve Got You, Gloria decided to split with the Disco Corporation Of America. That wasn’t the end of Gloria’s problems. Having decided the time was right to work with other producers, Gloria hooked up with Greg Diamond and Joe Beck. Greg Diamond had established a reputation as a disco producer, while Joe Beck had made his name as a jazz musician. They set about reviving Gloria’s career on 1977s Glorious. This didn’t happen. Instead, Glorious reached a disappointing number 183 in the US Billboard 200. With Gloria’s career at the crossroads, Gloria decided the answer to her problems lay less than one-hundred miles from New York, in Philadelphia. Philly was now the musical capital of America. Producers including Thom Bell and Gamble and Huff had been responsible for creating Philly Soul. Among the Philly’s most successful musical exports were The O’Jays, Billy Paul, The Spinners, The Delfonics, The Stylistics and Harold Melvin and The Blue Notes. Three musicians who played on albums by each of these artists approached Gloria Gaynor about producing her next album. Their names were Norman Harris, Ron Tyson and Allan Felder, who’d been part of M.F.S.B, Philadelphia International Records’ legendary house-band. After leaving Philadelphia International, they became part of The Salsoul Orchestra. However, Norman, Ron and Allan weren’t just musicians, they were songwriters, arrangers and producers. Even better, they’d bring with them, the best musicians and backing vocalists in America. Norman, Ron and Allan were hired by Gloria to produce her next album. She realized that a Philly Soul makeover could rescue her career. So, TAN Productions, an acronym of Tyson, Allan, Norman would write, arrange, produce and play on what became Park Avenue Sound. Of the seven songs on Park Avenue Sound. Norman Harris, Ron Tyson and Allan Felder cowrote four. They were Part Time Love (Is A Full Time Job), Everytime You Make Love To Me, For The First Time In My Life and Kidnapped. Gloria cowrote two tracks This Love Affair and After The Lovin’/Sweet Sounds For My Baby. The other track was a cover of Ashford and Simpson’s You’re All I Need To Get By. These seven tracks, which became Park Avenue Sound, were recorded at Joe Tarsia’s Sigma Sound Studios, in Philly. Joining Gloria Gaynor for the recording of Park Avenue Sound, at Sigma Sound Studios, Philly were many members of The Salsoul Orchestra. This included a rhythm section of drummer Keith Benson, bassist James Williams and guitarists Norman Harris and Bobby “Electronic” Eli. Larry Washington and James Walker played congas, Bruce Grey piano and Ron “Have Mercy” Kersey played keyboards. Don Renaldo supplied the strings and horns, while The Sweethearts Of Sigma, Barbara Ingram, Carla Benson and Yvette Benton, add harmonies. Once Gloria Gaynor had recorded Park Avenue Sound, it was released in March 1978. 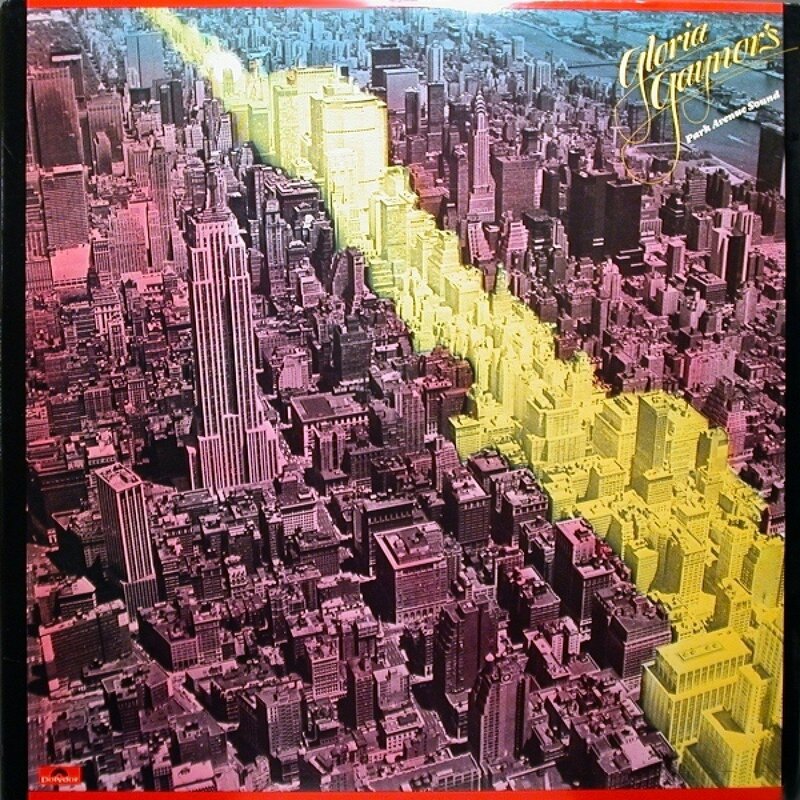 On the release of Park Avenue Sound in March 1978, it reached number twenty-four in the US Disco Charts. However, it failed to chart in the US Billboard 200 and US R&B Charts. Then when This Love Affair was released in April 1978, it failed to chart. This was hugely disappointing. Gloria’s Philly makeover had been the success it had hoped. While many other artists had headed to Philly hoping their career could be rejuvenated, Gloria was one of the few artists whose Philly makeover wasn’t a success. The men with the Midas touch, Norman Harris, Allan Felder and Ron Tyson seemed to have momentarily lost their Midas touch. However, thirty-five years after the release of Park Avenue Sound, is it an album that should’ve been a bigger commercial success. Opening Park Avenue Sound is This Love Affair, produced by Connell Johnson Jr. and Al Stewart. The lushest of strings sweep and swirl, while The Sweethearts Of Sigma add sweet, tender harmonies and the rhythm section provide the pulsating heartbeat. A flourish of piano signals the entrance of Gloria’s vocal. It’s powerful and joyous. Accompanied by sweeping harmonies, pounding drums and rasping horns. Add to that, Norman Harris’ trademark jazz-tinged guitar and the result is a return to form from Gloria Gaynor, on slick, catchy, dance-floor friendly track. Part Time Love (Is A Full Time Job) is the first of four tracks penned and produced by Norman Harris, Allan Felder and Ron Tyson. Straight away, here’s a tougher, edgier sound. Keyboards, pounding rhythm section and growling horns combine. Once they’ve grabbed your attention, strings dance and Gloria unleashes a feisty, but soulful vocal. Adding cooing harmonies are The Sweethearts Of Sigma. Soon, the song starts to swing. Horns blaze, drums pound, strings dance and Gloria struts her way through the lyrics. Later, Gloria delivers a tender vamp, accompanied by The Sweethearts Of Sigma, before the track heads to a dramatic ending, where soul and funk unites. For The First Time In My Life has an almost understated arrangement. Just pounding drums, keyboards, guitars and pizzicato strings combine. Strings sweep and swirl, as the arrangement reveals its secrets. Soon, Gloria unleashes a vocal that’s full of happiness and hope. Her vocal full of emotion, she sings: “For The First Time In My Life, he’s the man who makes me feel like a Queen.” As the arrangement marches along, to the beat of Keith Benson’s drum, The Sweethearts Of Sigma add heartfelt harmonies, strings dance and Gloria delivers a joyous vocal. You’re All I Need To Get By is a cover of an Ashford and Simpson song. Bobby “Electronic” Eli’s searing guitar joins sweeping harmonies and pounding drums. The result is briefly reminiscent of Honey Bee, from Never Can Say Goodbye. Soon, Gloria is delivering a powerful, emotive and impassioned vocal. She delivers her vocal with a swagger, while the bass drives the arrangement along. Harmonies from The Sweethearts of Sigma sweep in. They’re the perfect foil for Gloria. Not only do they add an element of drama, but spur Gloria on to greater heights of drama and soulfulness as she finds her inner diva. There’s a wistful sound to the Joel Diamond produced After The Lovin.’ Against an understated backdrop of weeping guitars, lush strings and slow, deliberate drums. Gloria’s vocal is tender and emotive. Equally tender harmonies accompany Gloria, her vocal growing in power and emotion. Having grown in drama, swathes of harmonies, layers of lush strings, Norman Harris’ chiming guitar and percussion combine with the rhythm section. They set the scene for Sweet Sounds For My Baby, where Gloria delivers a breathy, jazz-tinged vamp, Scatting, she demonstrates her versatility, with a vocal that’s needy, emotive and wistful. Closing Park Avenue Sound is Kidnapped. This is the last of the four tracks penned and produced by Norman Harris, Allan Felder and Ron Tyson. It has their name written all over the arrangement. Propelled along by Jimmy Williams’ uber funky bass, drums pound, harmonies coo and horns blaze, as the arrangement explodes into life. You realize something special is unfolding. Then, a burst of drums signals the entrance of Gloria’s vocal. One minute it’s feisty, sassy and delivered with a swagger, the next, it’s tinged with regret and full of hurt. Cascading harmonies, braying horns, dancing strings and a funky rhythm section join forces with Gloria. They each play their part on what is an irresistible and hook-laden fusion of Philly Soul, funk and disco. While Gloria Gaynor’s fifth album Park Avenue Sound was the least successful album of Gloria’s career, it’s an album that deserved to fare much better. A fusion of Philly Soul, funk and disco, it’s slick, soulful, funky and dance-floor friendly. Full of hooks, Norman Harris, Allan Felder and Ron Tyson certainly didn’t let Gloria down. The four songs they wrote were the highlight of Park Avenue Sound. Maybe if Norman, Allan and Ron had wrote and produced every song on the Park Avenue Sound, it would’ve been a much bigger success. Despite using three production teams, Park Avenue Sound is long on killer and short on filler. That’s why thirty-five years after its release, Park Avenue Sound has a timeless sound. That’s not the case with all of Gloria’s first four albums. Far from it. Although many people thought Gloria’s decision to split with the Disco Corporation Of America was risky, it had to happen. If she didn’t make the break, then each album would have a similar sound. This was the case with her first three albums. With each album, the albums sold in smaller quantities. Replacing the Disco Corporation Of America was Greg Diamond, who had a trademark sound. While he’d enjoyed commercial success, Greg wasn’t the producer to revive Gloria’s career. So Gloria hired the triumvirate of Norman Harris, Allan Felder and Ron Tyson. Maybe the problem was, Gloria hired them a year too late. By 1978, the anti-disco backlash was underway. While populist disco albums, including the soundtrack to Saturday Night Fever sold well, disco albums were no longer selling as well. What had started off as an underground musical scene, was soon being exploited. Artists were jumping on the disco bandwagon to revive flagging careers. Popular songs were given disco makeovers. Disco was fast becoming a parody of itself. Neither was Philly Soul as successful. Philly Soul’s fall from grace coincided with members of M.F.S.B. leaving Philadelphia International Records. This was after a dispute over payment couldn’t be resolved. They headed to Salsoul Records and became The Salsoul Orchestra. Apart from The O’Jays and Harold Melvin and The Blue Notes, Philadelphia International Records was no longer as successful. Salsoul Records became disco’s premier label. However, by 1978, the times were a changing at Salsoul. Personnel had left the label, and the label and the music was changing. Disco was no longer as popular. This even affected the former Queen of Disco…Gloria Gaynor. Park Avenue Sound which will be released by BBR Records on 29th July 2013, may not have been Gloria Gaynor’s most successful album, but from the opening bars of This Love Affair, to the closing notes of Kidnapped, is quality through and through. Unfortunately for Gloria Gaynor, she released one of her finest albums, Park Avenue Sound, when disco’s popularity was beginning to wane. Maybe if Gloria had hooked up with Norman Harris, Allan Felder and Ron Tyson a year earlier, her career would’ve been rejuvenated. Sadly, that wasn’t the case. Despite this, Gloria Gaynor’s fifth album, Park Avenue Sound is a timeless, hidden gem, one that’s soulful, funky, dance-floor friendly and full of hooks. Standout Tracks: Part Time Love (Is A Full Time Job), Everytime You Make Love To Me, For The First Time In My Life and Kidnapped. ← FIRST CHOICE-HOLD YOUR HORSES.